Some 48 hours before Donald Trump “officially” announced his candidacy for president on Tuesday, I posted a quip on Facebook that I would be seeking the mayor’s seat in Biddeford. But my announcement was never intended to be serious. For starters, I have absolutely no business running for any elected office. I can barely manage my own life, as detailed here. While my Facebook quip generated some buzz, lots of positive comments and even comments from people willing to help my “campaign,” it was, again, a sarcastic joke. Now that I think about it, my announcement was actually much less a joke than Trump’s escalator event on Tuesday; and many of us are left to wonder if he is truly serious or just seeking some more attention to further inflate his own ego. Consider for a moment what Trump laid out as his agenda before a group of New York City tourists, some mentally deranged followers and a gaggle of reporters. He hit all the hot-button topics: immigration, saying we will be build a massive wall between the United States and Mexico. How will we pay for it? Trump said he wold force Mexico to foot the tab through higher tariffs on their imports. Umm, this is a direct violation of the North American Free Trade Act. Trumped bragged about his wealth, pointing to what he estimates at a net worth of nearly $9 billion. He pontificated about his fantastic business career. But riddle me this, how does a man who has filed four bankruptcies amass a fortune of $9 billion, much less describe himself as a savvy businessman? Has he directed any of his fortune to settling old debts with his creditors? Trump says he will make America strong again, a nice talking point, but one best left for dictators. For my friends on the right who criticize President Obama for a slew of Executive Actions; the Donald listed out more than a dozen executive actions he would take if elected. Perhaps he’s been in his mahogany-paneled boardroom so long that he has forgotten the president must work with 535 pesky members of Congress. Congress controls the purse strings, not The Donald. More importantly, can Trump’s ego handle the bruising? How will he react when he comes in second, third or tenth in the Iowa caucus or the New Hampshire primary? Sure, Donald has a certain appeal, and he’s good at tapping into America’s growing resentment against the rest of the world. He excels at fear mongering, but he is anything but a serious presidential candidate. And who do we blame for this phenomena? This perverse distraction? Look in the mirror. The vast and overwhelming majority of registered voters don’t cast ballots; we leave that to the partisan fringes, where emotion so often “trumps” logic. We are a nation more concerned about Bruce/Caitlyn Jenner; television shows like Honey Boo-Boo, the tribulations of the Duggar family, American Idol and Big Brother. We are a nation addicted to bread and circuses. Is it any wonder that we have sent in the clowns to run the country? 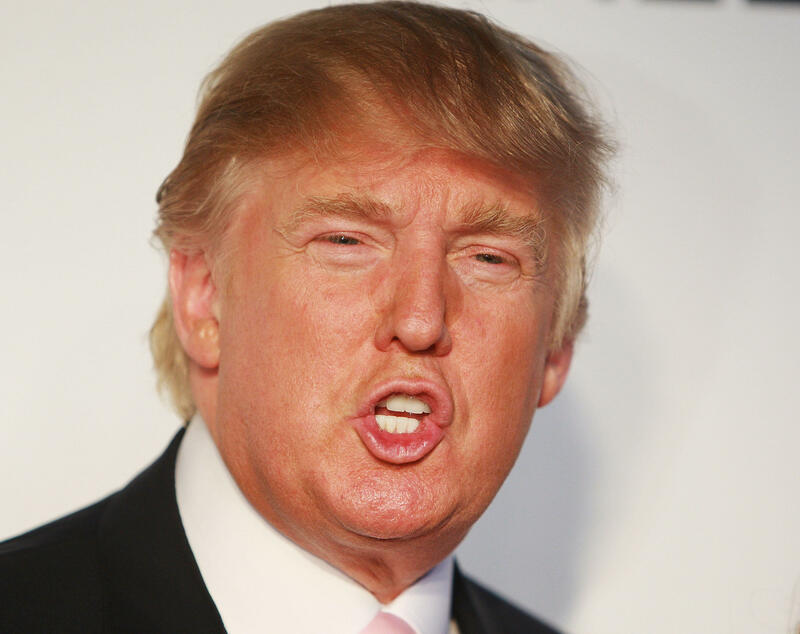 Donald Trump has no business running for president. I have no business running for mayor of Biddeford. The difference between us is that one of us knows a joke when we see it.